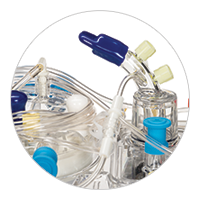 Terumo has led the way in oxygenator innovation and quality for more than 30 years. 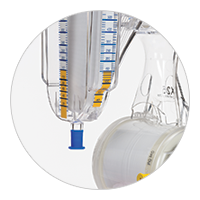 The new CAPIOX® FX Advance Oxygenator advances your oxygenator to the next level by enhancing flow dynamics,1 resulting in lower minimum operating levels and increased maximum blood flow rates. 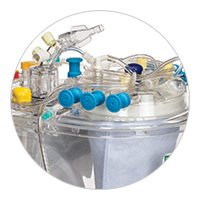 Now, you can expand your options and choose a smaller, lower prime oxygenator for even more patients. Internal testing data on file. Bronson, S., et al. Prescriptive Patient Extracorporeal Circuit and Oxygenator Sizing Reduces Hemodilution and Allogeneic Blood Product Transfusion during Adult Cardiac Surgery. JECT. 2013; 45:167-172. *Use of Vacuum Assisted Drainage may be required to achieve flow rate of 5 L/min.